We were invited out to my husband’s parents to have Sunday lunch. My father-in-law was cooking and so I asked if I should make some dessert. He’s a dessert fan and rarely says no to such an offer. So I was wondering what I could make that I haven’t done yet. It quickly dawn on me that brownies would be perfect. I wanted to make some for a while now so I searched my recipe books. I found one recipe that was from the KitchenAid booklet that came with the stand mixer. But looking at that recipe was like “Wow, loads of sugar.” Now I know that desserts over here tend to be sweeter but you don’t need to give everyone a sugar shock. After looking a bit longer I found one in the recipe book of my husband (Recipes for Young Adults – high school version). It has less sugar…. Mix together the melted margarine and cocoa powder. (I think I used butter.) Add the eggs and beat well, add the sugar after that. Combine with vanilla and beat until fluffy. Now sift the flour, baking powder and salt together and add to the first mixture. Beat well and fill into a 2L square cake pan. I have no idea if the pan I used was according to that measurement, but it work well. Bake at 180°C for 20 min. 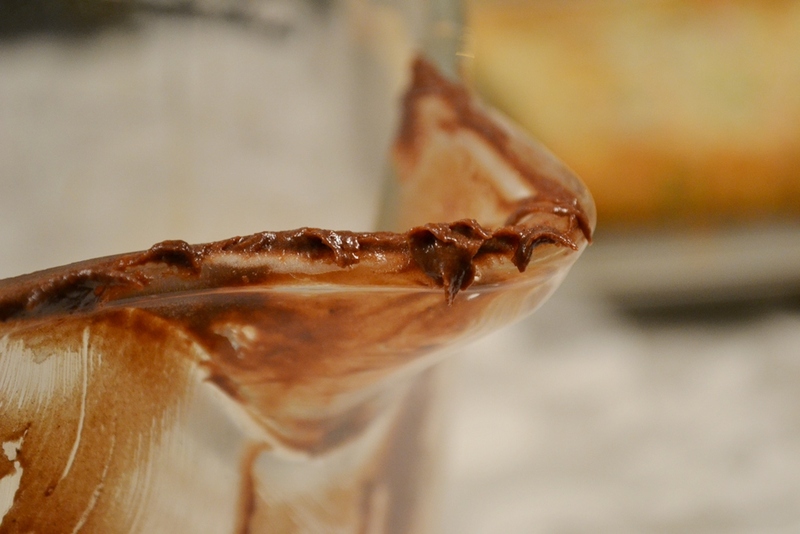 Chocolate batter in the pan…hmmm. 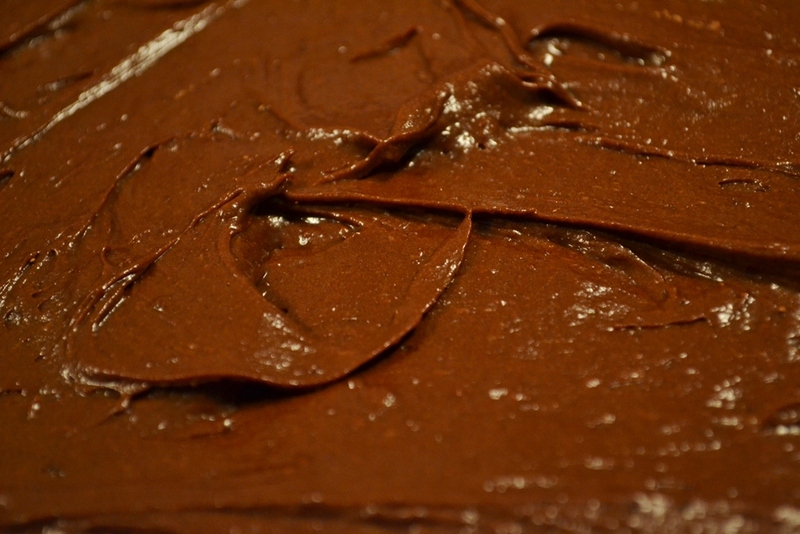 Brownies should be soft in the centre but the edges should be firm. Again, I am not sure if I did this right…the centre is, well, not as soft as I thought it should be. But everyone else assured me it was just right. Who am I to argue that? The first time I made this recipe there were four square left over of which none survived to take a pictures. So, I made it again. Take you eggs, sugar and vanilla and beat them together well, add the oil or melted butter. Sift together the dry ingredients and add to the first mixtures. Combine well and add nuts (if you like those). Fill it into a medium square cake pan (1.4 L) and bake at 180°C for about 20 min. Same thing as with the previous recipes, it should be soft in the centre and a bit firmer on the edges. The first recipe said to top it off with chocolate butter icing but it failed to mention how to make that. I mean, it’s a no-brainer: chocolate, butter, sugar, done. I just need to know how much of what, right?! Well, it took some searching again because, once again, a lot of sugar in those icing recipes. I finally found one online at Food.com, here is the link. Cream the butter and add the cocoa powder, vanilla, cream and icing sugar. You might want to alternate the cream and icing sugar, I didn’t do that. I also didn’t use 2 1/3 cups because that seems a lot to me. I just went and added until it was sweet enough. Half of the amount was good enough to use on the brownies, more would have been to sweet. The other half was used on the second batch, so it work out great. Admit it, you do this too. Brownies are one of those North American staples I believe, like Chocolate Chip Cookies (which I haven’t made yet either). It’s relatively simple but I am still not sure on the soft part…more experiments seem to be in order. 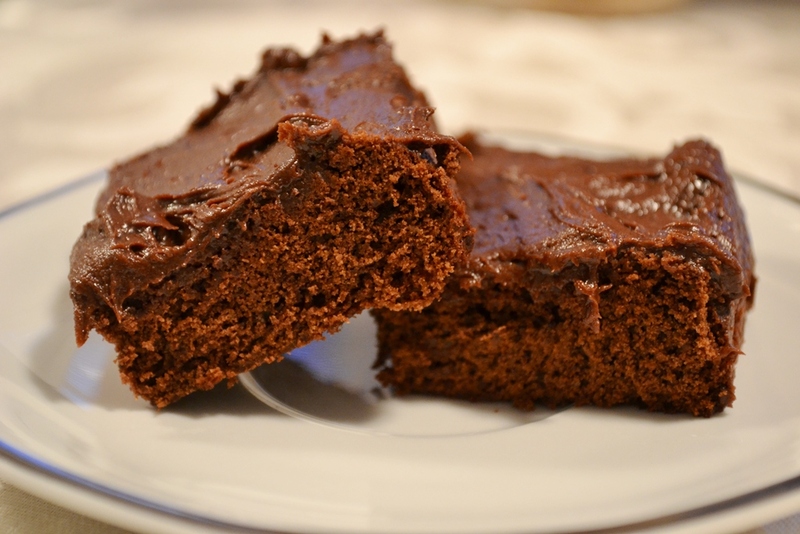 Posted in Little Treats and tagged baking, brownies, chocolate, cocoa, recipe, rich, staple. Bookmark the permalink.